Our VMware Hosting solutions are built on the industry leading VMware ESXi & vSphere virtualization platform. FASTDOT’s VMware Hosting offers the highest level of manageability, stability and performance available for virtualized environments. FASTDOT’s VMware Hosting environment utilizes a high-speed network infrastructure and clustered high-performance Dell servers to ensure superior performance at all times. Important: Please be aware that this is an unmanaged virtual server and as such server management and system administration is the responsibility of you or your system administrator. An advanced knowledge of server administration is an absolute must for any users. 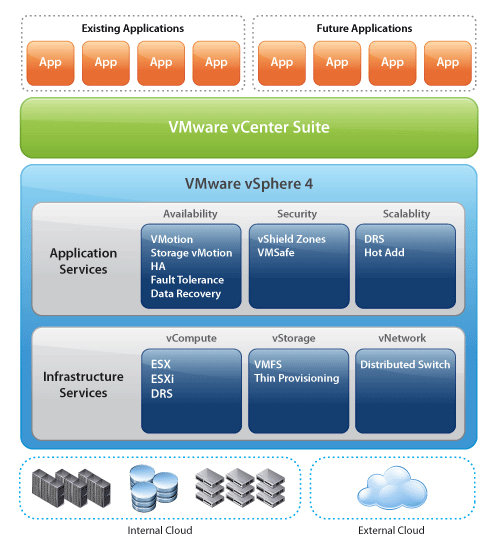 FASTDOT is a certified VMware Hosting Partner and Professional Solution Provider and Service Provider for VMware. Virtualization under VMware ESXi & VMware vSphere delivers a true bare-metal hyper-visor, installed directly onto the physical hardware to provide an abstraction layer between virtual & physical resources. VMware is the industry leader in virtualization technology and VMware Virtual Machines provide a number of superior performance features when compared to Virtual Private Server (VPS) hosting environments, such as Parallels Virtuozzo. Virtualization under VPS Hosting environments such as Virtuozzo is known as “Host Virtualization”, which only provides access to physical resources through a Host Operating System. VMware virtualization is superior as each Virtual Machine provides you with your own dedicated Operating System with direct access to the physical hardware and your own guaranteed resources. Each Virtual Machine is completely isolated to achieve a true dedicated virtualisation environment. VMware Virtual Machines are also easier to scale up and down at any time, adding resources such as additional RAM or Hard Drives without downtime. Virtual Machines also deliver better availability than Dedicated Servers, as they can be migrated from one server to another with zero downtime. Security is also increased as each Virtual Machine is completely abstracted from the physical hardware and isolated from other machines. 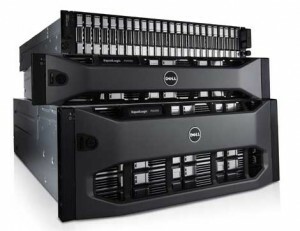 Whether you’re after a Mission-Critical hosting environment for your PHP web application, a Ruby on Rails platform or a dedicated WHM/cPanel hosting server, FASTDOT’s VPS Hosting solutions offer you a powerful mission-critical hosting environment at a fraction of the price of a full dedicated server. FASTDOT’s Virtual Machine packages provide you with state of the art technology. Allowing you the full functionality of a dedicated server, but fully virtualized, translating to a cost effective and dynamically scalable virtual hosting solution with outstanding performance. You have full control over your Virtual Machine with full administrator access via SSH and the ability to fully customize and configure your Virtual Machine as you require. FASTDOT’s Enterprise Cloud solution is aimed at delivering a dynamic virtualised hosting environment offering Infrastructure as a Service (IaaS) hosting, to allow businesses to scale their hosting requirements to ever-changing business needs & demand. FASTDOT Enterprise Cloud services will also provide multiple features unique to the VMware ESX platform and unavailable with a Dedicated Server, such as VMware HA (High Availability) . Combined with the blazing speed and performance of SAN storage, our Enterprise Cloud Servers also offer fail-safe redundancy. If any server fails, VMware’s High Availability features will ensure all virtual machines running on a failed server automatically restart on another server within the cluster – with zero downtime or impact to your hosted applications or software! Your new VMware Virtual Servers will be commissioned shortly.